It’s important to have goals. Goals let us see where we are and where we’d like to be. Our dancers have done goal writing workshops so they can establish what they would like to get from their time dancing. Some dancers want to have fun, make friends and learn something new. Some dancers are driven by the opportunity to travel and perform. Others are competitive and want to win medals and trophies. It’s exciting to see young dancers think about their goals. As a school we have goals too. They are to Enrich, Educate and Elevate through Scottish Highland Dance. These three things drive everything we do. ENRICH Scottish Highland Dance can enrich the lives of all involved. Our dancers spend time every week investing in themselves when they come to class. 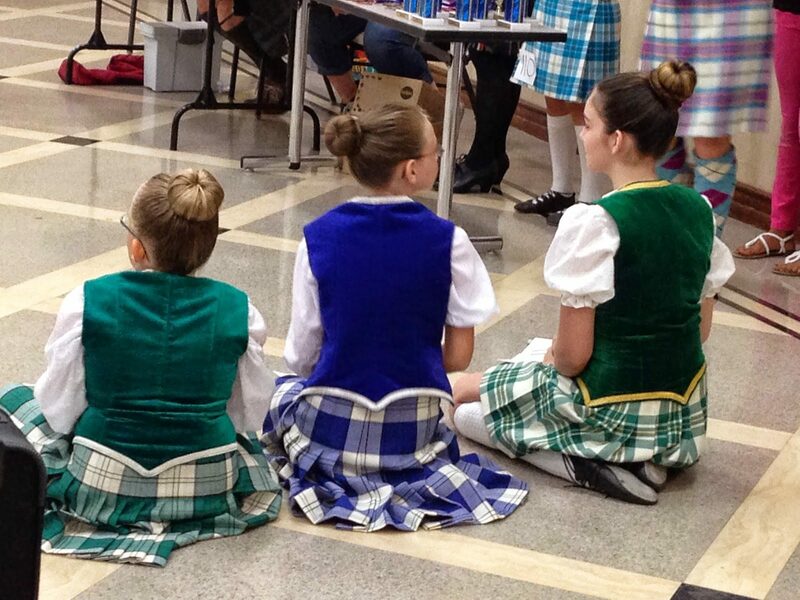 Through Highland Dance the kids learn discipline, hard work, confidence, camaraderie, etiquette and sportsmanship. We’ve seen one of our dancers work incredibly hard every week in class. At a competition she danced REALLY well, but still did not come in first. She realised her friend and class mate was taking home the trophy. You can imagine the reaction that might happen. Instead of jealousy; she smiled, clapped her hands and patted her friend on the back. As a dance teacher this was one of my proudest moments. I was thrilled to have a student win a trophy, but I was overjoyed to see the other dancer display genuine joy. Her poise was beyond her years! You don’t always win in the real world, but what people remember is your attitude. Highland Dance enriches the lives of dancers from an early age. EDUCATE As a Highland Dancer I have been asked more times than I can count “Is that like Riverdance?” Scottish Highland Dancing is different from Irish Dancing. We wear kilts, dance to bagpipes, and use our arms. I describe Highland Dance as being the “cousin” to Irish Dance. We wear ghillies similar to Irish dance shoes. Sometimes we dance to the same kind of music like Jigs, Hornpipes and Reels. We don’t wear bouncy wigs or have a worldwide hit like “Riverdance”…yet. Highland Dancing has been taken around the world. There are Highland dancers in South Africa, New Zealand, Japan and North America. I want to educate this community on the beautiful art form that is Scottish Highland Dance. ELEVATE We hope our third goal is a natural progression from our first two. By enriching the lives of our students and educating the community we hope to elevate the standard and awareness of Highland Dance in Florida and beyond. A strong Highland Dance community will help keep this cultural tradition alive. In this age of Facebook, Twitter, Instagram and YouTube it’s nice to back away from the electronics, blast the bagpipes and honour a centuries old tradition. And oh yah, you don’t have to be Scottish to be a Highland Dancer!